Together We Could Achieve All The Best! 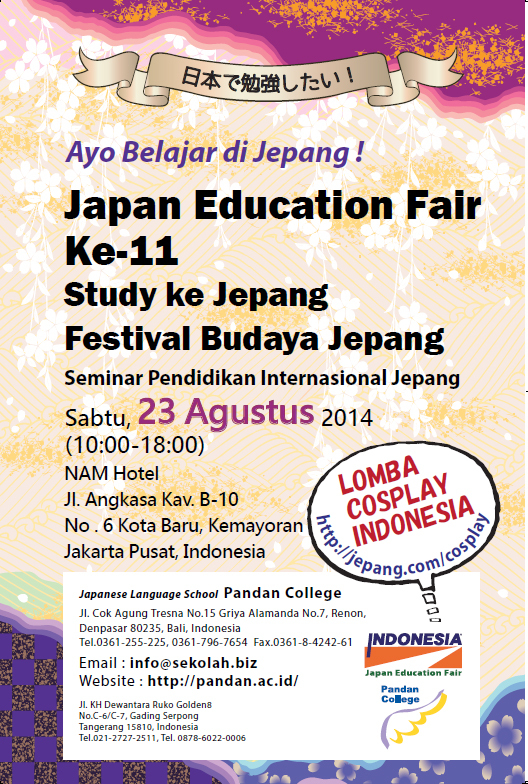 All sponsors are welcome to participate on this event (Japan Education Fair in Indonesia). Our visitors about 2,0000 visitors every times and we believe will expand in the future. Always inside the beautiful hotel in Jakarta and at the strategic place in the center of Jakarta, capital city of Indonesia. Ask us for Price to whom want to participate and or becomes sponsor to this event. Highly appreciate to all sponsors in the past. Our previous sponsors are Toyota, Daihatsu, SOSRO, Garuda Foods, Taman Impian Jaya Ancol, Bank BCA, Bank BNI, Pos Indonesia, etc.etc. Looking forward to others sponsors that will have a "win-win" solutions between us. 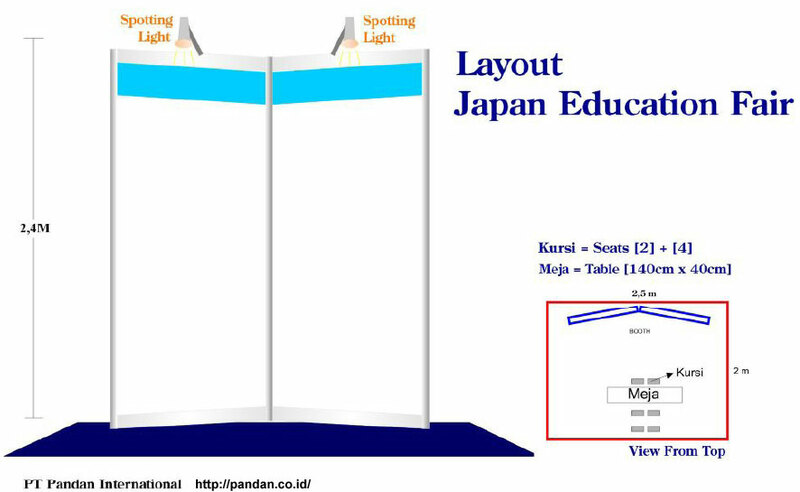 A great potential market for you to promote your Company and a good brand image building on this particular event attended by all the candidates who want to study to Japan. Space about 2,5m x 2,5m, Partitions like this!, Free Lunch, Company Logo on our Posters and on the backdrop of main stage, Company Logo on our JIEF Economic Monthly Magazine (one time as advertising free), Company's name will be written on JEFI's Handbook, Will be mentioned several times during the event, certification, etc.etc. Deadline to participate is one month before the next event will be held. Ask us for quotation, Click Here!